The future of young people: ICTs, but also agriculture. Agriculture, a way forward for young people? The agricultural sector continues to offer many interesting job opportunities on and off the farm. Including for young people? What are the sectors that could employ (a) young people tomorrow? We immediately think of technology and the internet, but not agriculture. Indeed, economic development has always been accompanied by a decline in agricultural employment. In addition, traditional food production methods are not particularly attractive … But information and communication technologies (ICTs) are revolutionizing this sector, while urbanization and changing dietary habits are bringing about to rethink how food is processed, marketed and consumed. In this context, is agriculture a way forward for young people? First, there is no doubt that agricultural employment is declining, and this is logical: urbanization and improved incomes are accompanied by a decrease in the share of food expenditures in total expenditure, for the benefit of other goods and services. Today, many farmers are turning to non-agricultural activities that respond to this new demand. But this is only sustainable if labor productivity in agriculture increases as a result of innovation, and if market access improves to allow for the sale of production. ICTs can play an important role on both these fronts (a). How? Through automation, in particular. Many observers have long been puzzled by Africa’s delay in mechanization: given its population density and access to markets, the continent is expected to have a much higher rate of mechanization (a). But that could change, thanks to ICT-based services. The Nigerian start-up Hello Tractor (a) is one of the most interesting examples of this evolution. This innovative platform offers a rental service for tractors with a GPS antenna and sophisticated sensors. A simple SMS is enough to reserve and prepay this service. The Uber of Tractors (a) allows small farmers to significantly increase their productivity. 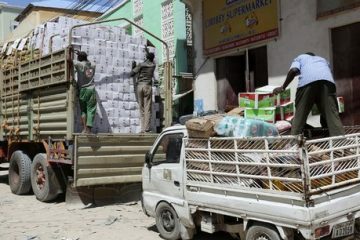 However, throughout the region, mechanization remains constrained by a number of factors, including lack of access to finance, slow availability of support services and difficulties in reaching mass critical. The temptation to subsidize mechanization must be resisted, and market forces must continue to be exercised on the basis of factor price ratios (labor / capital and labor / land). In addition to their potential contribution to increasing the productivity of agricultural labor through mechanization, ICTs (a) also improve agronomic practices by facilitating agricultural extension and, most importantly, improve farmers’ access to markets. (existing and new) and strengthen their bargaining power, which allows them to obtain better selling prices. 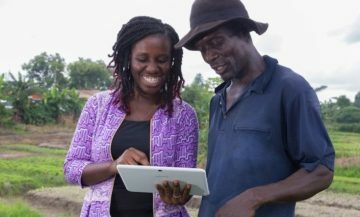 Farmbook in Africa and MFarming in Tanzania (a) are two examples of recent initiatives that use ICT to achieve these goals. In turn, improved market access and higher selling prices encourage the adoption of technologies that lead to productivity gains, which increases supply and opens up opportunities for young people living in rural areas, who can derive higher income from agriculture. There are also opportunities in urban areas. For example, 1,000 to 15,000 agricultural jobs (a) were created in major cities such as Bamako, Accra or Kumasi. The same trend is observed in some megacities, such as Shanghai, where urban agriculture remains an important component of the economic fabric (a). The technologies used can be very sophisticated. This is particularly the case with Fresh Direct (a) in Nigeria, recently awarded at the World Economic Forum on Africa. Located in a peri-urban area, this pioneering company cultivates fresh products in hydroponics, on stackable containers. Its urban farms consume less water and use less land than conventional agriculture, for yields 15 times higher, and allow the urban population to source quality products. However, it is upstream and downstream of agriculture that most new attractive jobs will be created. In fact, with the increased needs in various fields (consolidation, storage and processing of products, logistics, food preparation, catering and other related services), the non-agricultural sectors will offer many job opportunities, mainly in agribusiness. These downstream activities will generate quality jobs, as is already the case with Hello Tractor, which offers good job opportunities for tractor owners, vehicle drivers and financial service providers. In Southern Africa and East Africa, these sectors are expected to absorb about a quarter of the labor force leaving agriculture in the next decade. 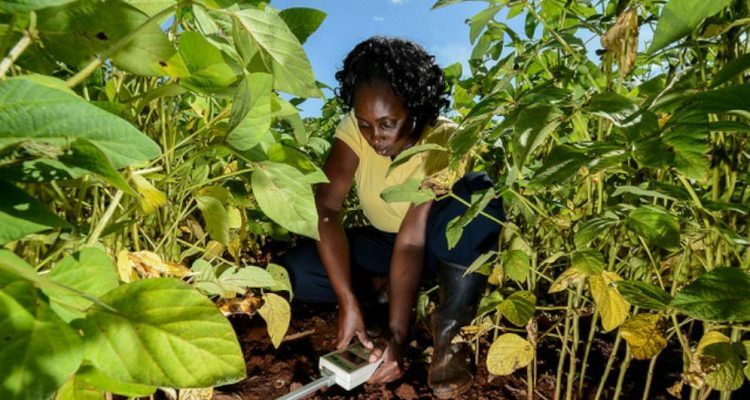 To prepare for these jobs, especially young people and women, the Africa Agribusiness Incubators Network (AAIN) (a), the African network of agribusiness incubators, will set up at least 108 incubators in 54 countries. from Africa over the next five years. The AAIN plans to train 60,000 people on apprenticeship contracts and give them mentorship to help them start their own business. At least 600,000 jobs and 100,000 start-ups and SMEs could thus see the day (a). Even if a majority of young people dream of a non-agricultural job, agriculture continues to offer many interesting opportunities, on and off the farm. But it is imperative to improve the competitiveness of this agricultural sector, and upstream and downstream activities, by encouraging innovation, public investment in products and services in rural areas, and the development of secondary cities, in order to attract both young farmers and older farmers. However, much remains to be done to achieve these goals, thus ending extreme poverty and promoting shared prosperity. Here are some additional tracks.